Born in 1971 and currently based in Amsterdam, Ian Siegal has been busy, to say the least, releasing more than a dozen recordings since 2004. It’s been six years since his last studio album with a band, and the result is All the Rage, an enjoyable collection of songs that cover everything from interpersonal relationships to outright political protest songs. Born near Portsmouth in England, he – like many notable musicians – dropped out of art college in the late 1980s and began busking in Germany. Since then, he’s toured extensively throughout the UK and in Europe. Musically, this new album has some faint echoes of the guitar-centric bands of 60s San Francisco, with a little of Dylan’s lyricism thrown in for good measure. 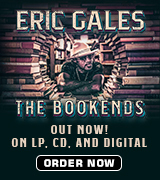 Produced by American singer-songwriter-guitarist Jimbo Mathus (formerly of the Squirrel Nut Zippers), this latest collection of songs is very personal, with some clever word play delivered with a hoarse, smokey voice that sounds older than his years. All The Rage is an exploration of American roots music, and features a refreshing mix of rock ‘n roll, soul, blues, gospel, and ballads. It’s also an exploration of America, itself – with a pointed, and palpably angry exploration of the authoritarianism, and the related culture wars that have taken center stage all across the globe over the last couple of years. 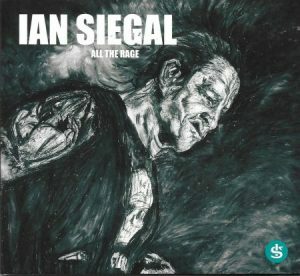 The “Rage” in this album’s title refers to Siegal’s disillusionment with these world events, and with politics, in general. While far from a political protest album, some of the songs clearly reflect his anger and his anxiety over world events. The four songs authored solo by Siegal were “born of concern and fear,” and you can clearly hear it – from the ominous-sounding march of “Eagle-Vulture” to the minor-key rhumba of “Ain’t You Great?” – in both his lyrics and his delivery. This collection opens with “Eagle Vulture” – a restrained, yet powerful blues that expresses Siegal’s outrage at how politicians use Orwellian double-speak to galvanize supporters while looking to obscure their true intentions. “Ain’t You Great” is a sardonic, not-so-subtle swipe at the blatant narcissism and non-stop self-promotion of the current American President, while “Jacob’s Ladder” has an almost English Music Hall feel to it, to contrast the desperation found in the lyrics. 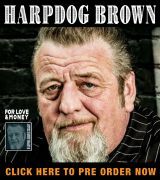 “The Sh*t Hit” is a more traditional, Muddy Waters-influenced – and very witty – musing on what options might be available to the average Joe, as the world teeters toward anarchy. “If I Live” has Siegal very effectively channeling Howlin’ Wolf, with a gentle nod to Wolf’s “Smokestack Lightnin’.” “My Flame” is a soulful, dobro-laced lamentation of love lost. The album closes with “Sailor Town,” a folksy narrative about growing up in a rough port city. The band for this outing features Siegal’s long-time guitarist Dusty Ciggaar, Danny Van’t Hoff on bass, Rafael Schwiddessen on drums, and Jimbo Mathus on organ, mandolin, and piano. Throughout the album, the playing is tasteful, understated, beautifully mixed, and feels entirely appropriate to each individual composition. Recorded in just four 6-hour sessions, this is some well-crafted music made by folks who clearly know their way around their instruments. All in all, All the Rage is a very listenable collection of songs, and has definitely sent me off to listen to some of Siegal’s earlier work. Definitely worth a trip to Spotify, to sample his back catalog, and I suspect that I’ll also be acquiring one or more of his other CDs.